M.Yu. Lermontov - a duel on the Black River in St. Petersburg. So wrote the poet of Russia Mikhail Lermontov in 1831, contemporaries understood this as the artistic power of the syllable, descendants - as a fatal premonition of untimely loss. Wrote these lines a few years before the tragic duel of Alexander Pushkin - the great contemporary of Mikhail Yurievich and almost a dozen - to his own in the same scenario, but, fortunately, with a different outcome. Even the scene coincided - the Black River, as well as the image of the enemy - the son of the French envoy. In the situation with M. Lermontov, only the occasion is different. The reason for this fight, as well as for the poet's first reference, was the poem "The Death of the Poet", written after the death of Pushkin and became the "manifesto" of Lermontov. At one of the evenings of the French embassy, ​​A. Turgenev is addressed by the secretary of the French mission and on behalf of the ambassador asks him whether it is true that the Russian poet Lermontov in this work "attacks" not only on Dantes himself, but also on all French people . IA Turgenev appeals to Mikhail Yurievich with a request to send him this text, then the secretary and the ambassador of the French diplomatic corps are acquainted with the written. The result - the ambassador agrees that Lermontov's accusations have only a private character, and therefore this poet can be invited to balls at the embassy. But this was only the first act of dueling history. Further, the powerful ill-wishers of the poet confront him with the son of the envoy Ernest de Barant, showing the latter the old "school" epigram of Mikhail Yurievich to his friend, also a Frenchman, Cleron. They manage to convince the young man that this epigram is directed against him. And on February 16, 1840, the second act takes place - the conversation of the poet with the son of the envoy at the ball on the English embankment in the mansion of Countess Laval. Ernest de Barant begins to express his claims to Lermontov at first with "ordinary" accusations that he, in a conversation with a well-known person, allowed himself to express opinions that are unprofitable for Barant. To which Lermontov responded with a complete refusal: "I have not told anyone about you anything reprehensible." But the Frenchman does not shrink and calls the poet's behavior bad, and adds that in his homeland he would certainly find a form in which such audacity should end. Mikhail Yurievich answered that in Russia honor rules are strictly observed, and here also impunity is not allowed to anyone. By the way, later, during the trial of the lieutenant Lermontov, the Auditor General (the supreme military judicial body) among the "positive" sides of the fight will take this fact into account - taking the challenge from Monsieur de Barant, Lermontov "wished to support the honor of the Russian officer". The third of the list of "virtuous reasons" the court calls a shot of Lieutenant Lermontov aside, the latter "showed ... laudable magnanimity." Lermontov did shoot at the air after he had sustained the blow of the enemy. It is interesting that in this fight two types of weapons were used: swords and pistols. De Barant, in violation of the duel code, took advantage of the choice of weapons - according to Lermontov's "tacit consent", as if all France were offended in the person of De Barant. In fact, it was Mikhail Yurievich who was an offended party. Seconds intervened in the process of "settling" the terms of the fight. Stolypin-Mongo was Mikhail Yurievich's second - he did not agree with such an advantage - after all, in the Russian army the sword was not possessed as it was in the French, we had a saber more in motion. Vicomte Raul d'Angles stood on his - either a sword, or an apology. Thanks to the efforts of Stolypin, a compromise was found - the opponents fight first on the swords to the first blood, and then on the pistols. So, two days after the "quarrel" on the Black River, the duel began with a sword. At Lermontov, the end of the sword breaks, and Barant (it is believed that he slipped at this time) strikes the poet directly into the chest. Fortunately, the wound was not deep, the end of the sword passed along the side of the poet, but the first blood already exists. Opponents go to the pistols. Barant shoots first and - past. Mikhail Yuryevich in response shoots into the air. After the fight, St Petersburg began to hear rumors of a duel, and Lermontov was arrested, as the only one guilty of what happened. His second, Stolypin himself writes a letter to Benckendorff that he can not "remain with remorse" if Lermontov is punished. Barantha is not even questioned. His father, the French ambassador, dreamed of making his son the second secretary of the mission, and now seeks permission to travel to his homeland. However, the young Barant is not in a hurry to leave the capital and accuses Lermontov of deceit on all social events - they say, there was not really a shot in the air. Mikhail Yurievich at this time was on the Arsenal guardhouse, where he asks to come to the displeased Barant. Of course, this was a direct violation, the guards could not allow this, and Lermontov goes out to meet in the corridor - supposedly "out of need". Barant confirmed his claims to the poet about this shot in the air, to which Mikhail Yurievich replied that it is true that she should not be unpleasant to Barant, but if he is unhappy, Lermontov agrees to resume the fight as soon as he is free. Ernest de Barant did not want to shoot more, accepted the explanations and refused all claims in the presence of two witnesses. So he was put in place. 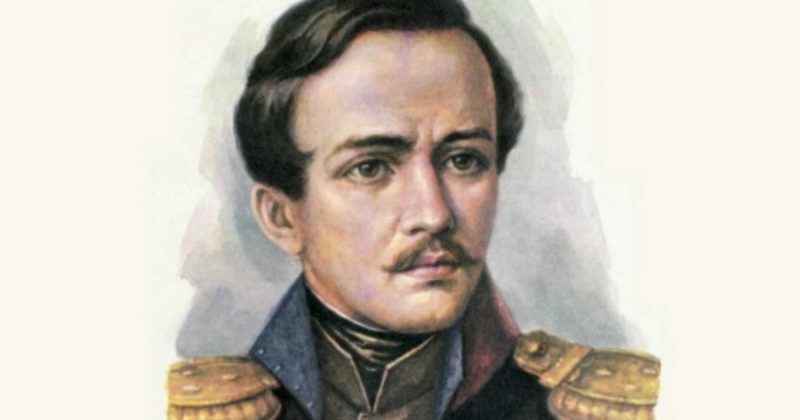 The tribunal sentenced Lermontov to the guardhouse in the fortress for 3 months and transferred to the army regiment with the same rank. The king translated the poet into the Caucasus. Another episode from the history of this fight is interesting. After the termination of arrest at Lermontov began to demand written refusal of the indications on consequence besides about this shot aside. This time Benckendorff took up the job, he insisted on Mikhail Yurievich's letter to the Barants with confessions of lies. Refusal of such an "order" would mean forever making Benckendorff his enemy, the consent is to completely sully the honor of the officer. Lermontov composes a letter for the whole week, but not for the Barants, but for the Grand Duke Michael, being sure that it will get to the Tsar too. Of course, the emperor read the message, but sent him to the gendarmerie without any resolution. However, Benckendorff understood the nuance of the situation, and since then Lermontov has become one more powerful enemy. Mikhail Yurievich got to the Caucasus where he distinguished himself in several military operations, was presented to the awards, but did not receive them (the tsar rejected all petitions), fired a duel with his "fellow student Marty" (N.Martynov), where he was killed. After the death, the tsar received a "summary" - "a dog - a dog's death" and a complete absence of official obituaries in the capital's newspapers. And yet - a lot of different versions of his doom - from varying degrees of truthful to mystical-adventurous-composed.